Born in Sierra Leone to loving parents who valued education, DePrince got off to a good start. But civil war intervened, leaving her in an orphanage at age 4. By chance she saw a ballerina on the cover of an old magazine; becoming one herself became her dream. She was adopted by an American couple who were as determined as she was to make that happen. Overcoming many obstacles, including racism in the world of classical ballet, she’s now a soloist with the Dutch National Ballet. An amazing story, amazingly well told. "A compelling narrative . . . 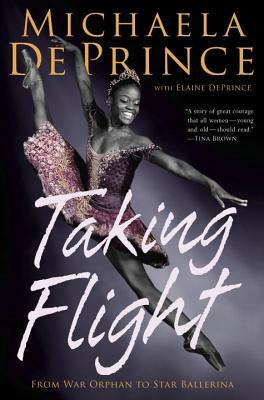 The book’s strong thread is Michaela’s lifelong passion for ballet and her candid depiction of the physical and emotional struggles of becoming a black classical ballerina. There is plenty of ballet detail for dance lovers to revel in, and the authors achieve a believable, distinctive teenage voice with a nice touch of lyrical description."